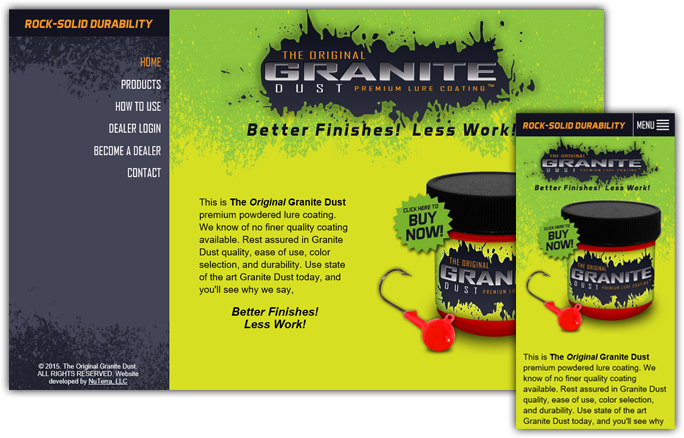 NuTerra, LLC, an Internet development company based in Green Bay, WI, has announced the launching of www.granitedust.com. The Original Granite Dust Premium Powdered Lure Coating is the finest quality coating available. A responsive website, easy to use, and features a multitude of products for the do-it-yourself fishing lure enthusiast. Featuring Granite Dust quality, ease of use, color selection, and durability. The website is a fully functioning shopping experience; complete with opportunities to become dealers and tools for existing dealers. 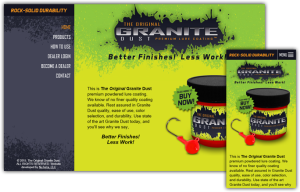 Check out the state of the art Granite Dust today to get your Granite Dust Premium Lure Coating. Shake your Ash with the Kick Ash Basket! NuTerra, LLC, an Internet development company based in Green Bay, WI, has announced the launching of www.kickashbasket.com. Kick Ash Basket, a great product for use with the Big Green Egg and Kamado Charcoal grills can be found online for purchase through this well put together and easy to use website. The Kick Ash Basket allows for greater air flow and easy ash removal from your charcoal grill. It’s a great way to cook and now it’s easy to purchase. 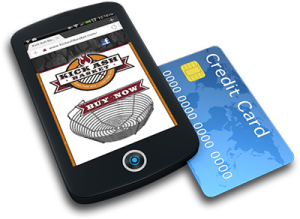 In addition, www.kickashbasket.com was developed as a responsive website. Designed to load quickly and presentable on all devices, Kick Ash will recognize the device it is being viewed on (PC, tablet, smart phone, etc.) and will employ different elements of it’s programming to ensure that the interactive experience is enjoyable for every user. 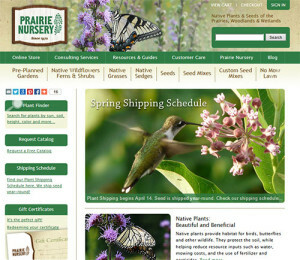 NuTerra, LLC, an Internet development company based in Green Bay, WI, has announced the launching of www.prairienursery.com. Prairie Nursery is a true online resource for gardening hobbyists of all kinds. Designed to provide a wide variety of hard-to-find products and assist in planning their backyard hobby to perfection. Prairie Nursery offers native plants and seeds of the prairies, woodlands and wetlands. Complete with consulting services, resources and guides, the site is a true resource for backyard growing enthusiasts. NuTerra, LLC is a 15-year-old Internet development company specializing in web applications that are unique to each individual business. NuTerra is based on the premise that because every business has an unique way to work, subsequently, the online reflection of that company should be the same. NuTerra, LLC, an Internet development company based in Green Bay, WI, has announced the launching of a new site for Decom Promotional Marketing. 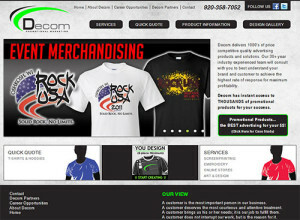 www.decomllc.com delivers 1000’s of price competitive quality advertising products and solutions. The 30+ year industry experienced team will consult with customers to best understand their brand and customer to achieve the highest rate of response for maximum profitability. DeCom has instant access to THOUSANDS of promotional products for your success. In addition, DeCom, LLC will create custom embroidery and screen print solutions for schools, clubs, businesses and more. NuTerra, LLC, an Internet development company based in Green Bay, WI, has announced the launching of an updated site for Century Sun Oil – http://www.centurysunoil.com. 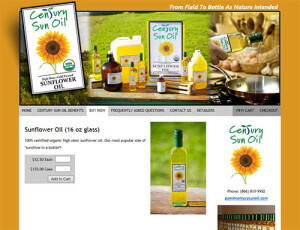 Century Sun Oil is a healthy, versatile sunflower cooking oil organically grown in northern Wisconsin. The site is a great resource for those looking to discover the benefits of cooking with certified organic oils with high oleic levels; a great addition to a heart healthy lifestyle. NuTerra, LLC has created an updated site complete with e-commerce. Users now have the ability to make purchases of Century Sun Oil products, such as the various sizes of sunflower oil and gift boxes. Sunflower oil will enhance flavor in cooking with cold pressed certified organic sunflower oil.